Karen Rodriguez, Broker/Owner, is a nearly 32 year veteran in the Greater Louisville real estate industry - and loves it. Her passion, to help people accomplish their goal of owning the American Dream, shows with the years of service and dedication to the industry. She is a consistent Top Producer, regardless of what the economy is doing, thinks outside the box and gets the job DONE. Karen has extensive knowledge of Jefferson, Oldham, Bullitt, Spencer and Shelby Counties. She handles ALL facets of real estate, to include residential, commercial, investment, leasing and new construction. She also has extensive rehab experience. You name it and she does it and does it quite well. Karen is in the Top 10% of ALL the Greater Louisville Realtors. Karen has earned many awards and designations throughout the years and is very proud of them. She obtained her Brokers License in 2014, which led her to follow her dreams of establishing an independent brokerage. She comes with a wealth of knowledge and skills, plus she continues education to be the best at what she does, Sells Real Estate. e-Pro - Certified to handle all your social media and internet marketing. ABR - Accredited Buyers Representation Designation. Extensive education on representing Buyers and protecting their interest. AHWD - At Home With Diversity. A Designation consisting of education and knowledge to work effectively with and within a rapidly changing multicultural market. The class details, diversity, fair housing and business development. CRS – Council of Residential Specialists. The Proven Path to Success for getting those listings SOLD! Proud to be one of only 3% of the Realtors holding the elite CRS credential. GRI- Graduate Realtor Institute. Intense classes to further develop your skill level across the entire landscape of Real Estate with in-depth training in legal and regulatory issues, technology, professional standards and sales process. 5 Major Exams to be awarded a GRI designee. SFR- Short Sale and Forclosure Resource. Gives the frame work, skill and knowledge to successfully market and close short sales and foreclosure properties. 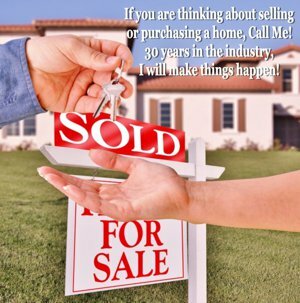 Whether you are thinking of selling, buying, investing, rehab to flip or building, Karen Rodriguez has the knowledge and experience to ensure you accomplish your goal. She is very well recognized and a leader in her industry. Call Karen for all your real estate needs and questions. Put Karen to work for you and watch things happen.